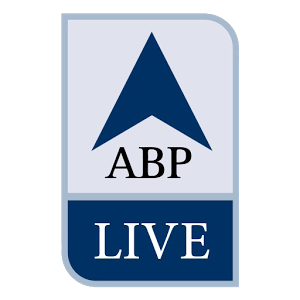 The following article originally appeared on ABP Live on July 12, 2016. Despite these immense efforts, the Philippines had constructed a clever legal case, invoking international law not for a judgement on the legality of China’s territorial control, but instead to assess the status of the islands claimed by China. Around islands, countries can claim territorial sea and an exclusive economic zone (EEZ), where they can exercise sole fishing, drilling, and resource rights. But that does not apply if the feature is an uninhabitable rock or submerged during high tide. It was on this simple, yet technical, issue that the legal case against China rested. The court’s verdict has proved a resounding rebuttal to China, essentially on four grounds. First, the Court determined that almost all of the Philippines’ complaints fell within its jurisdiction, despite Chinese arguments that the South China Sea was a matter of territorial sovereignty, that Beijing had not agreed to such international arbitration, and that military matters fell outside the Court’s purview. Second, the Court rubbished China’s claims to the South China Sea on historical grounds, deeming them contrary to the United Nations Convention on the Law of the Sea (UNCLOS), the bedrock of international maritime law. Third, it ruled that the islands claimed by China were in some cases low-tide elevations, and thus within the Philippines’ EEZ, and in other cases were rocks, incapable of “sustaining human habitation or economic life” under natural circumstances. Despite China’s reclamation and construction efforts, these were rocks, not islands. China was thus in violation of the Philippines’ EEZ, and not the other way around. Finally, and in conclusion, the court ruled clearly that China had violated UNCLOS and other elements of international law by denying the Philippines access to fishing and other maritime resources, by constructing artificial islands, by disregarding environmental concerns, and by aggravating and expanding the dispute while resolution proceedings were underway. Why does this case matter so much? For the first time since its rise as a global power, the People’s Republic of China finds itself in flagrant violation of international law on an issue that it deems a “core national interest,” and thus non-negotiable. There are now concerns that China might respond by further aggravating tensions with the Philippines, its backer the United States, or other regional actors directly or indirectly involved in the South China Sea disputes. As a result, the uneasy consensus in Asia may fracture, forcing various countries to take sides, either with China or against it. This is a situation that India will have to monitor carefully. But the South China Sea ruling matters to India for other reasons as well. Much of India’s trade is maritime in nature, and the principle of freedom of navigation and overflight are therefore crucial, particularly in important commercial channels. As Tanvi Madan of the Brookings Institution has pointed out, China’s handling of the South China Sea dispute also serves as an indicator of how Beijing might approach other disputes, including possibly with India. Furthermore, when it comes to arbitration under international law, India has set a positive precedent, having accepted international arbitration on the Indus Waters Treaty and in its maritime dispute with Bangladesh, and respecting the result of the latter even though it went largely against India.